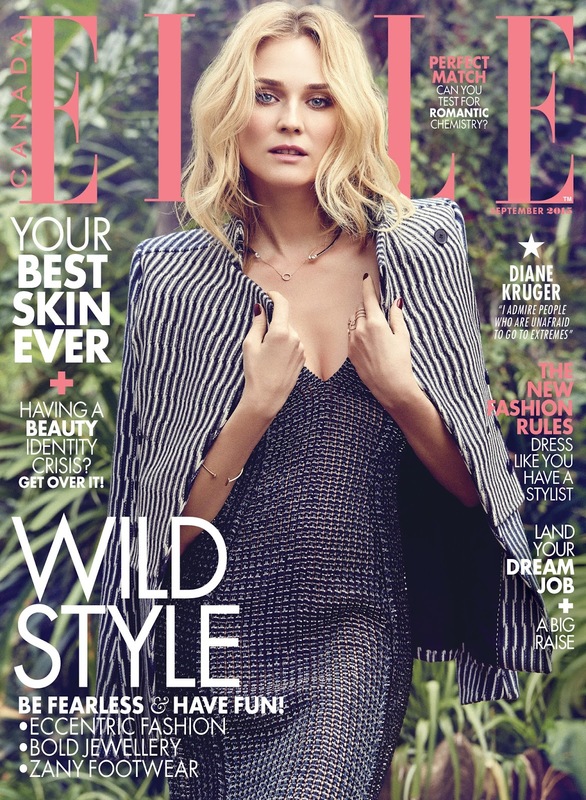 ELLE Canada releases its first-ever virtual-reality cover shoot starring Diane Kruger for its September issue! | visual optimism; fashion editorials, shows, campaigns & more! ELLE Canada releases its first-ever virtual-reality cover shoot starring Diane Kruger for its September issue! ELLE Canada marks another first with the release of its virtual-reality (VR) cover shoot for its much-anticipated 236-page September issue. The shoot, which took place in Los Angeles with Diane Kruger, was filmed using cutting-edge virtual-reality technology. It will be officially released on September 9 at the Tastemakers Lounge during the Toronto International Film Festival. To capitalize on the buzz around virtual reality, ELLE Canada needed a strong partner like Toronto-based PCP VR to deliver the technical expertise. Samsung teamed up with ELLE Canada to provide its industry-leading Samsung Gear VR and smartphones for guests to watch the virtual-reality video in the magazine’s photo studio, which will be set up at the Tastemakers Lounge and can also be viewed at Nikki Beach Toronto at the Spoke Club. For more information on how to view the virtual-reality cover-shoot video, as well as behind-the-scenes footage and images, go to ELLECanada.com/3dcover. These pictures are so beautiful,and i love these photos. Pretty nice photos, it look so gorgeous..
Really nice photos it looks so beautiful..